Winter riding can be tough and like skiing finding gloves that work are even tougher.Pearl iZUMi has come up with a unique solution to the problem, split the fingers, two and two, for mountain biking you have two for braking while still holding on the the bar. You got to like companies that push the limit and find better ways to stay outside. The claim is "Worlds Fastest Suit", major break through. Since the last suit the Fastskin broke more records than any suit in history, one can only imagine what this will do. A fully bonded male performance bodysuit with an ultra low profile zip and silicone gripper at the ankle. Made from Speedo's ultra lightweight LZR Pulse fabric, the suit's LZR panels, core stabiliser and bonded seams all combine to reduce drag. Available in regular and longer body lengths. Crazy design can sometimes workout. This one by designer: Teo Song Wei, really pushes the limit. "Adventuring thrill seekers know the right equipment is key to a successful trip but making sure you have everything you need is a chore, especially if you’re one that likes to rock climb, base jump, snowboard, etc. The QuikShell bag is a modular concept that snaps on only what you need. For example, you could have one module for rock climbing, one for base jumping, and one for snowboarding. You just snap on which ever module you need to the strap skeleton which comes with comfy padded shoulder pads and pockets for extra goodies." Golf has some good aspects, mostly being outside and for the pro's they at least walk from tee to tee. For most golf is about getting away and sitting in a golf Kart. One thing that Europe has on the U.S. is they let you do things a little different, like allowing you to ride instead of take a kart. Along come the Golf Caddy, attach to bike and pull your clubs around the course. This is great and so simple. The site is in German so, but the images speak for themselves. A little hokey but the site is filled with a lot of good Flash videos. ABC-of-Fitness.com claims to be a complete fitness, exercise and health portal. From my poking around it is great at showing you correct movements and positions, along with pointing out muscle groups being work. The fitness area has always been a little tacky but still when you have individuals doing the basic exercises wrong, sites like this have real meaning. There are leader's in everything that you do and then there are the ones that play catch up. For most of us catching up is becoming easier thanks to products like Blue Seventy Swim Skin PointZero3. Now others make them ZOOTS, Orca and XTERRA and they all basically do the same thing, shed water like a wetsuit and have low drag coefficient. The pointzero3 is the product of thinking about getting the best out of non-wetsuit legal swims. Like the blueseventy Helix wetsuit, the super slick surface layer on the pointzero3 has a drag coefficient of 0.032 which is over 50 times lower than skin and more than 4 times lower than other swim skins on the market. The fit and styling have been developed from the world’s fastest triathlon wetsuit, the blueseventy’s Helix, and features the double hoop of high stretch materials, that forms the helix shape after which the suit is named. 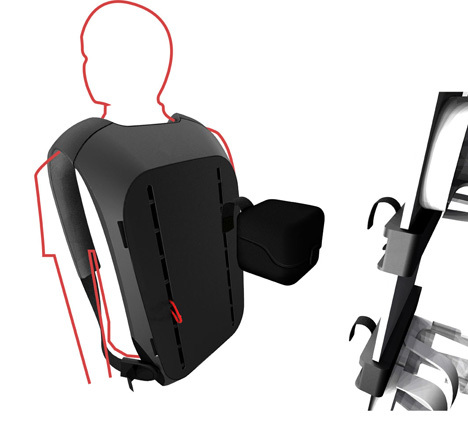 This extra-stretchy band of lycra, in the pointzero3, works to mechanically decouple the arms from the rest of the suit. When you stretch into the stroke you are normally pulling against the non flexible material of the suit, but in the pointzero3 the lycra bands work to “float” the arm so it doesn’t have to work against resistance. Like the Helix, the pointzero3’s seamlines have been made for swimming, not running like most other wetsuit brands. Hey everyone wants to be first and with advances like these coming to the sport of Triathlons, who can complain, oh yea the people that we are catching that's who.